Self-sabotage effects all of us in one way or another, slowing our growth, positive changes, and happiness. Left unchecked, self-sabotage equals stagnation and suffering. BUT, self-sabotage multiplied by awakened awareness makes it an actual catalyst FOR growth! 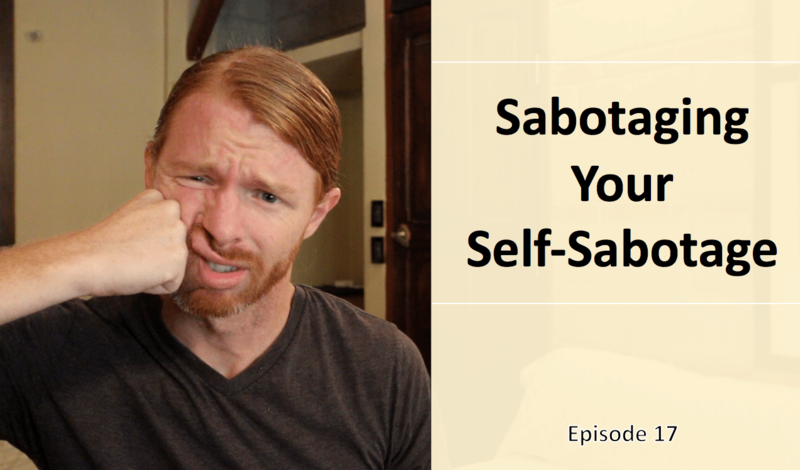 In this episode, I want us to slice deep and fast through the frustrating symptom that is self-sabotage to get to the heart of what causes it in the first place. We can make a big difference in our lives as we sabotage our self-sabotage! Go forth and be awakened! Here’s your homework: Go through the Sabotaging . . .